Happy 6th birthday to Lucy Ma (golden doodle)! 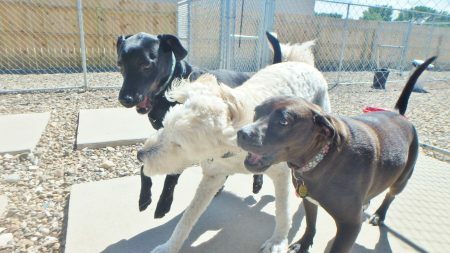 Lucy had a blast playing with her two best friends, Beanie F. (black lab mix) and Tera F. (terrier mix) yesterday! Lucy loves these dogs so much that she gets excited just seeing them across the room. It was so fun that they could play together on her birthday!